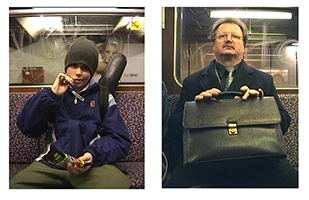 In a subway station in Berlin, people are seated on benches opposite each other where one is often forced to uncomfortably stare at or avert one’s glance from those opposite over a long period of time. 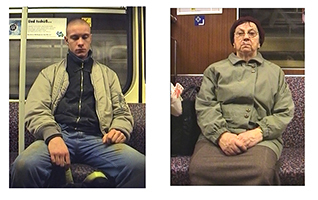 In U2 Korfmann captures the tension which results from this human proximity by filming people seated in front of her in the subway in an explicitly confrontational manner. The camera is focused on the faces of the people while the filmmaker keeps her gaze at the screen. 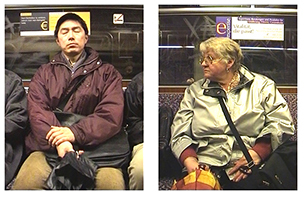 It results in an uncomfortable situation for both filmmaker as well as commuter. Yet nobody protests and no questions are asked, even though some people do move away. 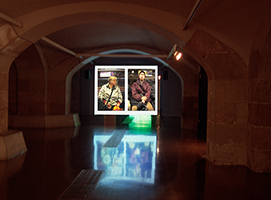 The tense situation one experiences in reality is expressed again through the resulting video, although in a reinforced manner.